When you think about European cyclocross and some of the top names racing at the Elite, U23 and junior World Cup level, I imagine you’re likely rolling off lots of Dutch and Belgian names, maybe a few Germans or Czechs, with the odd American, Canadian or Brit thrown in for context if you live in the English-speaking world. This begs the question: why is the country which hosts arguably the highest profile annual cycling event, across all disciplines, missing from this list of cyclocross stars? Lucie Chainel-Lefevre at the 2013 World Championships. © cxhairs.com. Have you figured out where this is going yet? I am talking about France. 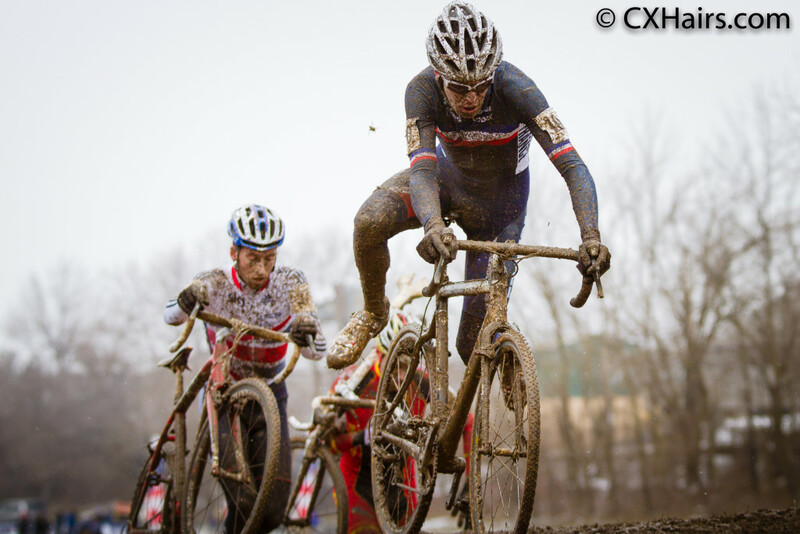 Now most of you will probably think I’m crazy to say this, but I’d argue that the French have a cyclocross scene that is quite similar to what we find in the US. That is to say, there is a legitimate national series of C2-rated UCI races, plenty of smaller regional races-all supported by a very robust club system-not to mention a handful of pros that take on the World Cup, bPost and Superprestige series calendars. These French pros, however, can you name them? Let’s start with something simple: can you recall the current national champions at the men’s and women’s Elite level? If you guessed Pauline Ferrand-Prévot on the women’s side, you’d be correct. Not content to dominate the road or mtb world, she has been consistently at the top of the international cx scene for quite some time. If there had been a U23 women’s world championship race available to her, you can bet there would be more arc-en-ciel jerseys in the closet back home in Reims. With her mountain bike world championship win in Vallnord, Andorra this past weekend, she now holds, concurrently, the rainbow jersey for cyclocross, road and mountain bike on the women’s side. When PFP isn’t flying the flag for Les Bleues, don’t forget about Caroline Mani and Lucie Chainel, as they are always in the mix. Mani has been based in the US for most of the past 3 seasons, so it will be interesting to see if she plans a full season stateside, or if she’ll be more focused on European racing in 2015-2016; towards the second half of last year she was more often racing in Europe. Lucie Chainel will be flying the colors of the new team she and husband Steve Chainel have put together this year—Cross Team by G4. How about for the men? Is it Francis Mourey of FDJ, the man from Chazot, a pugnacious rider who favors nasty conditions—and the odd Giro d’Italia in his ‘offseason’—and an 8-time national champion at the Elite level, 2-time U23 national champion, as well as a podium finisher at worlds? Maybe the aforementioned Steve Chainel, the Classics man that has a very deep cyclocross palmarès and pedigree going back some 15 years? He recently announced that he was leaving Cofidis before the end of his contract and returning his full focus to cyclocross for the first time in nearly 8 years. As mentioned above, he and his wife Lucie will be a duo sponsored by the G4 clothing company, a project of former road pro Geoffroy Lequatre. What about Fabien Canal, the World Cup mountain biker and amazing digi camo kit and bike? Or John Gadret of Movistar, a man known for his perpetual gauntness, 1000 yard stare, and barbed wire tattoo? He too is a grand tour aficionado like Mourey and has also been top Frenchman on occasion at the Giro. How about guys you’d normally associate with their road careers like Arnold Jeannesson of FDJ, Sébastien Minard of AG2R La Mondiale, Bryan Coquard of Europcar, Sylvain Chavanel and Jerome Pineau both of IAM Cycling, all of whom dabble in the French domestic series during their downtime in the winter? Or what of guys like Nicolas Bazin formerly of Big Mat-Auber 93 and presently riding at the Elite-2 level, or current Auber 93 rider, and 2015 U23 road national champion Flavien Dassonville? (Both men are UCI-ranked race winners in their own right.) Also, let’s not forget some of the strong talent at the U23 and junior level that have been making names for themselves, namely Clément Venturini, who looks to be making a name for himself on the road with Cofidis, and the Koretzky brothers Clément, of heroic Paris-Roubaix breakaway fame and presently racing for Team Voralberg, or younger brother Victor, who just pulled down a close second place at the mountain bike world championships in Andorra this past week? Alright, give up? The current French national champion at the men’s Elite level is no longer even racing. He called it quits back in May. His name: Clément Lhotellerie. A multiple time national champ at the junior (cadet they call it in France) and U23 (espoirs) level and podium finisher with Niels Albert and Roman Kreuziger at the junior level in 2004, he bounced around from team to team trying to make a career on the road while still putting in full cyclocross seasons every winter. This journeyman mantra, combined with a positive dope test back in 2009, meant he was at a resource disadvantage with other top level European cx pros. 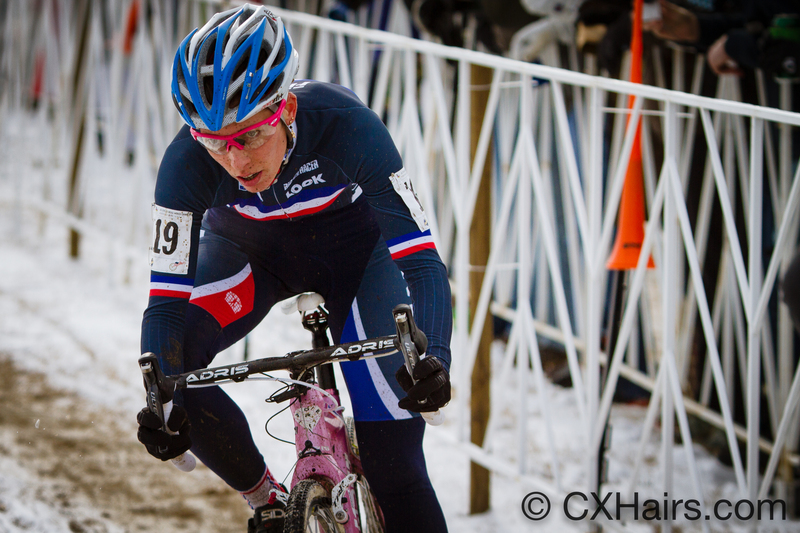 To top it all off: he was left off the French roster at worlds last year in Tabor. This all means that on the men’s side, it looks like Steve Chainel is going to be the go-to rider this season given his singular cyclocross focus and pair of early-season podiums in China. Will the rest of the season prove to be as fruitful? If so, will Chainel’s privateer approach—something more often seen in North America—inspire others to go all in on the cx side of the sport? Romain Lejeune at the 2013 World Championships. © cxhairs.com. While there are plenty of ‘big names’ on the French scene that dabble in cyclocross, there isn’t the incentive to focus on the discipline like there is over the border in Belgium. This has even led to the disappearance of the World Cup which had been held at the famous Roubaix velodrome. With the construction of a new covered track, and the consolidation of the FFC’s high performance program in this facility, there is talk that the Roubaix course may not find itself on the World Cup calendar again. Thankfully, two weeks before the 2016 world championships in Zolder, the World Cup will be stopping in France—this time in Lignières in the Loire Valley. As we’ve seen in the US with CrossVegas becoming a World Cup event, this is a big step towards continuing to build the sport both at the grassroots and professional level. International events like World Cups are important because they offer opportunities for non-native sponsors to put their name on an event—an investment which is paramount if the sport is continue growing and provide incentives for top riders to not bolt for the road or mountain bike full time. Remember those names I listed above? 99.9% of them are racing disciplines other than cyclocross as their primary focus, which means the retirement of Lhotellerie leaves an even bigger hole as he was one of the few real specialists flying the tricolore. This is really just the tip of the iceberg for French cyclocross, but hopefully an interesting primer for those of you more focused on the better-known Dutch and Belgian scenes, as well as the World Cup calendar. I’ll be checking in on a regular basis with a rundown on what’s happening in the world of French cyclocross—both at the international and domestic level—over the course of the 2015-2016 season. There will probably be some column inches devoted to the Swiss scene as well, as things there are booming with the EKZ Cross Tour and a host of high-performing riders like Simon Zahner, Julien Taramarcaz, Lukas Winterberg and a whole cadre of top-flight mountain bikers that regularly mix it up during the winter months. And maybe if I get ambitious you’ll see some words on the Czech domestic scene, specifically the Toi Toi Cup, from time to time. Thanks for reading and let me know if there are any other oft-forgotten corners of the cyclocross world you’d like to read more about.